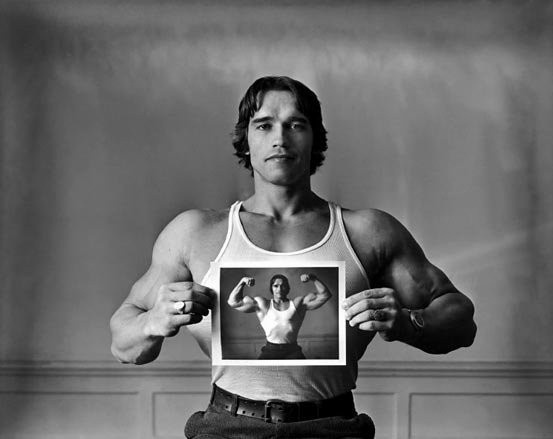 Earlier this year, it was announced that Arnold was accepting a position at Muscle & Fitness and FLEX magazines as their new executive editor. I started considering why Arnold would take on this new role, especially with his hectic work schedule. I didn’t have to think about it long before it came to me; he was reconnecting with his passion. 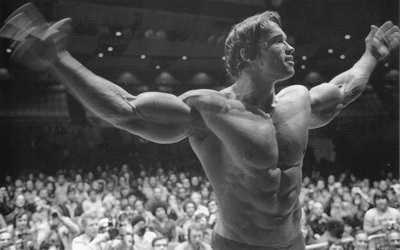 Fitness and bodybuilding have given Arnold passion, direction, belief in himself, and strength of body and mind. 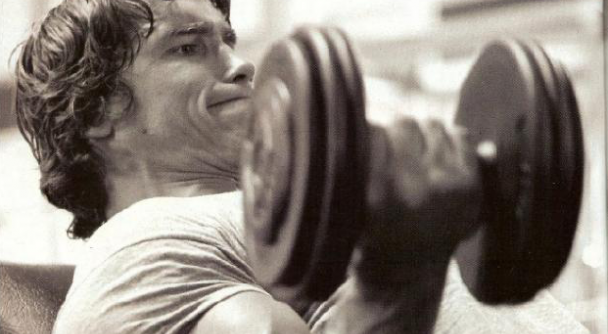 Ultimately, Arnold had a blueprint for his life that was fueled by his early struggles and early successes. 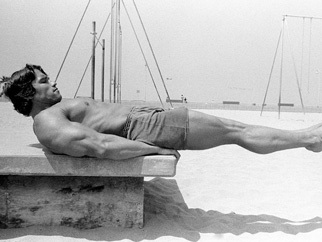 In fact, Arnold’s successes in life – bodybuilding, movies, and politics – were all driven by the power of his mind. He believed in himself when no one else did. He did another repetition in the gym, when the pain caused others to quit. He took acting and speech classes when everyone said he couldn’t make it. He set goals, hit them, and kept driving forward. Deep down, it is passion that drives all of us. Or at least, it used to drive us, when things were much simpler. As a child, our possibilities seemed endless and there was no limit to our dreams. We marveled at every new experience and we gave freely with our hearts. We had passion for all things. But reality smacked us in the face and kept the pressure on as we moved into adulthood and all of the responsibilities that come with it. Our belief systems changed, subtlety, and without us knowing it. We became afraid of the unpredictable and found security in repetition. We became cynical and angry with those who seemed happy all the time and chalked it up to their naivety. We began to only think of our needs and wants because satisfying them gave us temporary relief from our current situation. We silenced that child inside of us, too afraid – like Bukowski’s Bluebird – to show weakness and expose our true selves. Real strength can come from being honest with yourself and stating the truth. The strength needed to change your life – in an instant. The amazing thing about your life is that you can change it literally overnight just by changing how you perceive experiences and by developing a relentless mindset. You can wake up and say, “Today I will be different.” You can decide that things are going to change and you are going to be the person you always wanted to be; no matter how many obstacles you have to overcome. Today, I will quit complaining about my job, my car, others' actions – and I will focus on myself and what I need to do to make my life better. Situations happen to everyone every day. Our perception of these situations determines if they are good or bad, positive or negative, opportunities or obstacles. We can reframe any experience that we initially identify as an obstacle into an opportunity and use this opportunity to keep driving forward. Maybe it wasn’t the path you imagined, but you have to keep moving. In my experience, if you give yourself this ‘out’ by thinking ‘maybe’, then you’ll never make it. Trust me, if you think maybe you can do something, a lot of doors open up to quit when things get hard. Maybe is not going to cut it when the only time you can work on your passion is after your 9-5 job is done for the day and you’re tired as hell. Yes, for now, if you want to change your life, you are going to have to continue to work at the job you have while you work on your passion during your free time. And when you’ve built up your passion and eliminated the excess in your life, then you can move to your passion full time. I’m not telling you it’s going to be easy, I’m telling you it is going to be worth it. Rest assured, when you are absolutely sure of yourself and where you want to go, you will not let anything stand in your way. You can become the champion of your life by living like there is no tomorrow. Jim is a proud Dad, strength coach, and entrepreneur. Co-author of the best selling Athletic Development Training system and co-founder of the CPPS certification for coaches, Jim has been recognized as one of the ‘most innovative coaches’ in the fitness industry. Jim is regularly featured in Men’s Health, Men’s Fitness, and Muscle & Fitness.